Short term leases also available. 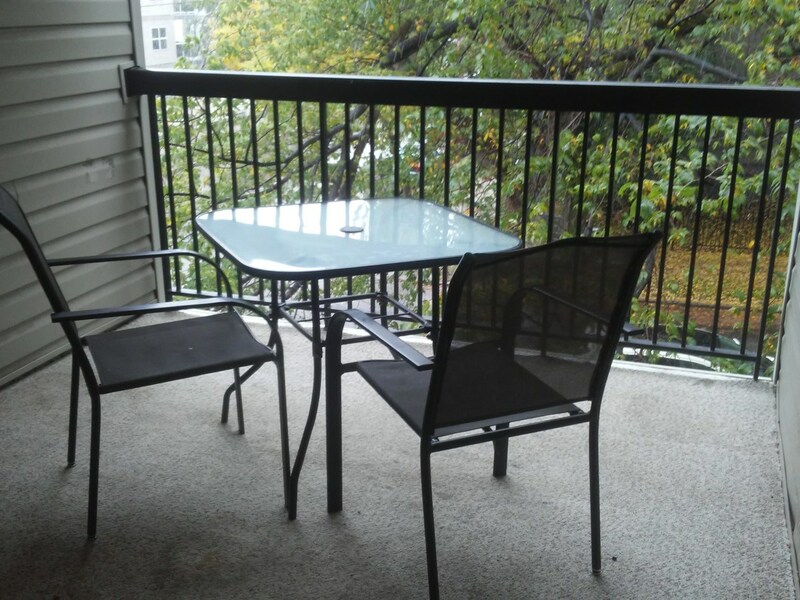 Well maintained clean condo with new carpets and refrigerator. The kitchen has black granite laminate counter tops with 3 clean appliances. Comes partially furnished with a rocking chair, long dresser, low book shelf and deck furniture. (bunk bed no longer available) Furnishings can be removed. Light blocking blind in main bedroom. Large covered carpeted balcony with deck facing west near the canopy of trees. Covered energized parking stall. Card operated Laundry Machines, Standby management and camera security. End unit of the buiding on the third floor. Belvedere LRT 10 minute walk away and Yellowhead Freeway access 5 minutes away. Close to shopping, primary and junior high schools and a medical clinic. No Pets please. Non Smokers preferred. Heat and water included. Covered Parking with Plug in. Large Mature Trees on Boulevard. Not Far From Yellowhead and Manning / Ft Road Roadways.